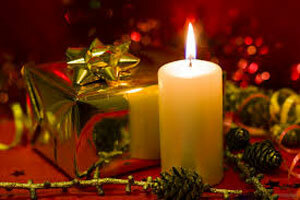 Christmas in India celebrates the birth of Jesus Christ, God's son in the Christian religion. It is held on December 25th of each year. Christmas in India is spent with family and friends, attending church services, gift giving and receiving. Instead of a Christmas tree, a mango or banana tree is decorated. Being a gazetted holiday, government, bank, post offices, and most businesses are closed. Christmas is a time to remember and celebrate the birth of Christ, God's son. With over 25 million Christians in India (only 2.3% of the population) it is considered a small holiday when compared to other religious holidays.